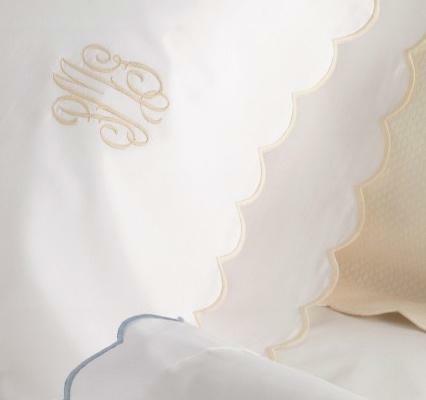 Matouk Portofino Monogrammed Bedding Collection(easy care) is simply styled collection gives a gentle touch of grace to any room. 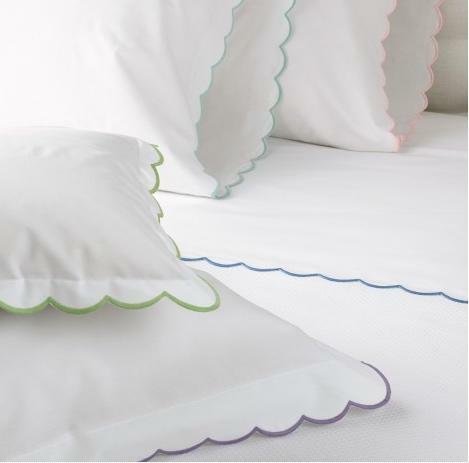 Superior Italian-Made easy care sheeting with a delicate scalloped edge. Made in USA of 200 thread count fabric woven in Italy. Embroidered monogram will be matched to the trim color chosen. Fitted sheets are labeled "Positano"